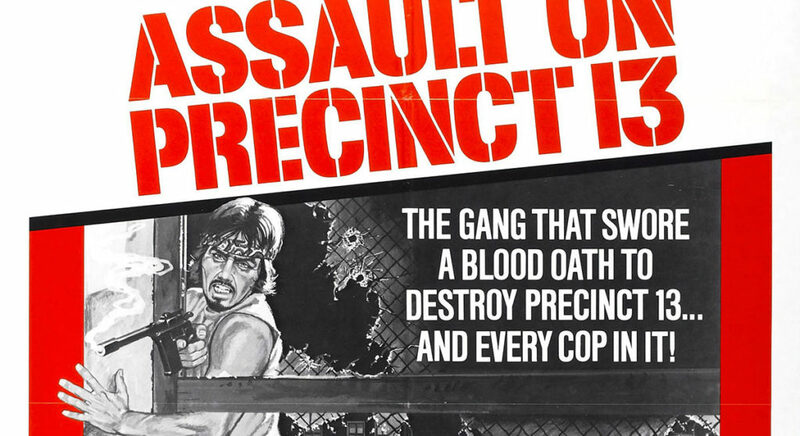 Austin will appear in person to discuss the New Beverly’s action-packed grindhouse double feature screening of Assault on Precinct 13 and Combat Cops (a.k.a. Zebra Killer) at The New Beverly Cinema, on March 7, 2017. The New Beverly Cinema is located at 7165 Beverly Blvd, in Los Angeles, California. The event begins at 7:30PM with Assault on Precinct 13, followed by Combat Cops. Austin Stoker is a just-promoted lieutenant whose first assignment is to oversee a quiet, final night at a closed-down suburban ghetto precinct after its personnel are transferred to a new station. But several unrelated events conspire to create a nightmare: a police ambush of a heavily-armed street gang the day before; a man in shock (Martin West) showing up, unable to explain his daughter has just been murdered; and a prison bus transferring four men to death row making an unexpected stop. With phone lines cut, faceless hordes of gang bangers with silenced weapons attack the station under cover of darkness, in search of West who has killed one of their own. One of Stoker’s men, the prison official and two prisoners die, and Stoker finds himself so shorthanded he must trust one of the hardened convicts (Darwin Joston) to aid him in holding off the seemingly endless stream of marauders. Director John Carpenter supplies an expert escalation of dread and chaos, making an astonishingly assured second film, mingling tropes from sources as diverse as Howard Hawks westerns (i.e. Rio Bravo) and George Romero’s Night of the Living Dead. Director William Girdler (Abby, Grizzly, The Manitou) helms one of his most obscure, hard-to-see exploitation pictures. Austin Stoker is a hardnosed Louisville cop tasked with finding an out-of-control serial killer on a mysterious revenge quest who leaves taunting notes at the scenes of his crimes. Filled with fresh, unfamiliar location work and a catalogue of some of the most absurd hardboiled dialogue in any crime film, Combat Cops (aka The Zebra Killer)engages the audience from the start and never lets up. Girdler’s trademark energy and enthusiasm for his material shine through, delivering some of the purest grindhouse pleasure to be found from the 1970s. Find out more about this event at the New Beverly website Here.